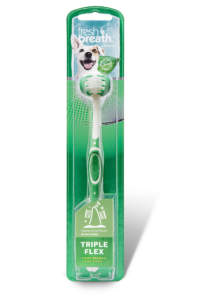 Brush teeth once daily. 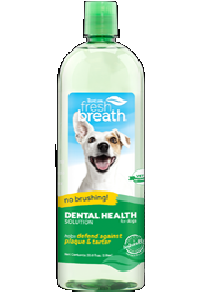 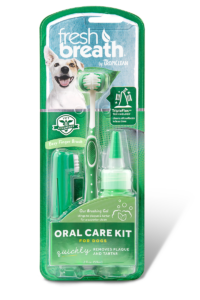 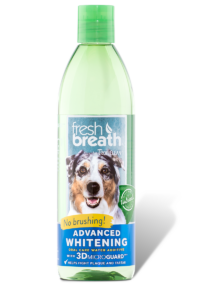 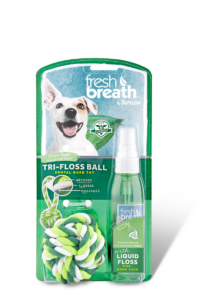 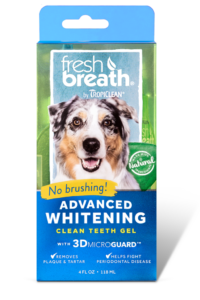 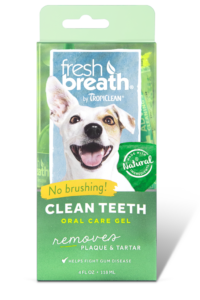 Squeeze a small amount of Fresh Breath Brushing Gel onto the brush and allow your dog to taste. 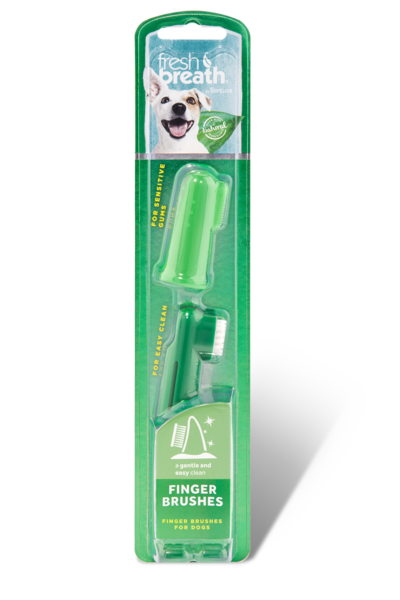 Reapply and gently brush in a circular motion. 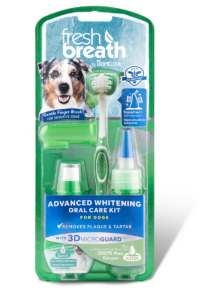 Never use human toothpaste, which can upset your pet’s stomach. 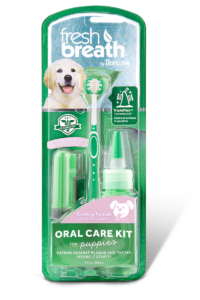 For maximum effect, withhold food and water for 30 minutes before and after treatment.